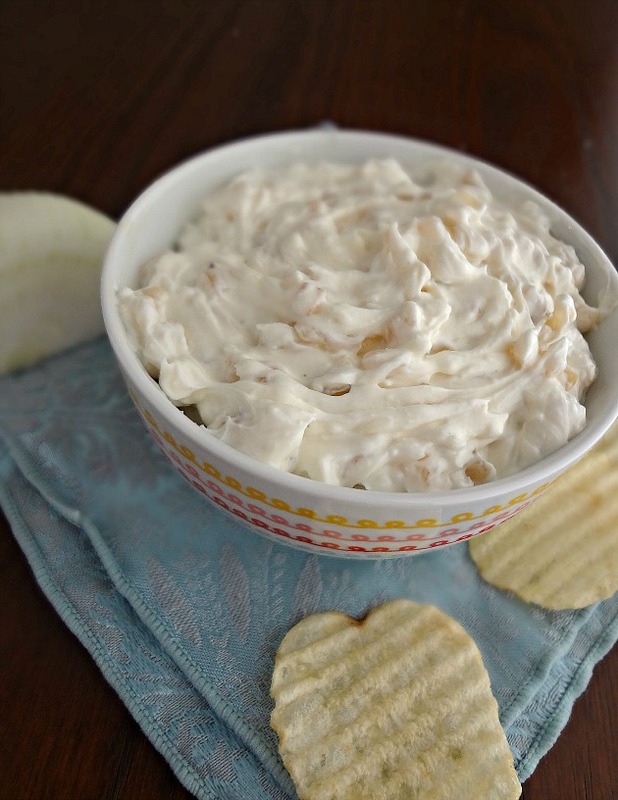 Pretty much the only time I'll allow myself to try out a new dip recipe is when I'm going to a party. Because I know that, otherwise, I'll end up eating the whole dang thing myself. And then I'll be like "whyyyy do I do this to myself??!" so really it's just best for everyone if I share the appetizer love. 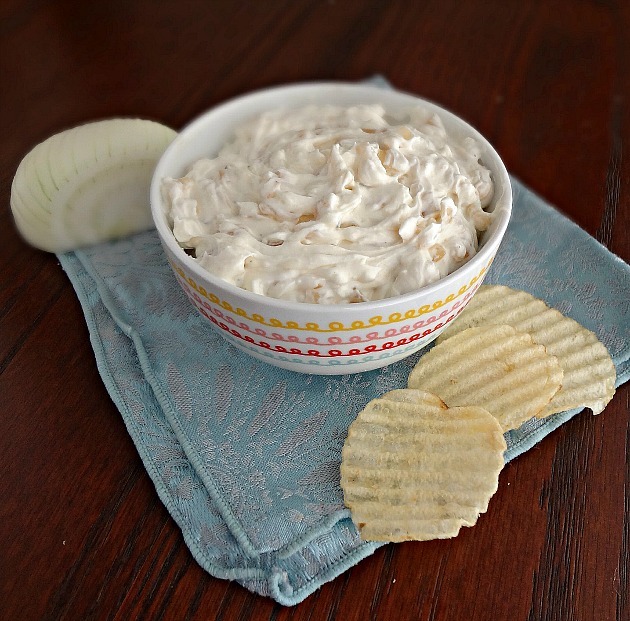 And that is exactly what happened with this recipe for caramelized onion dip! There are 2 main things that drew me into this recipe: caramelized onions (one of man's greatest creations :P) and the fact that it is slightly healthified thanks to Greek yogurt and reduced fat cream cheese. 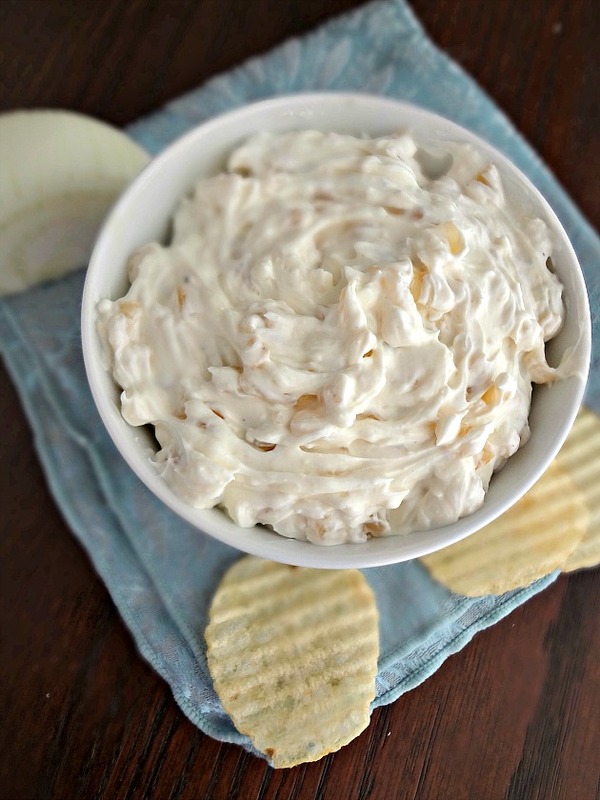 So, when I was told to bring an app/snack to the 4th of July with my family, I knew that this dip was getting made! 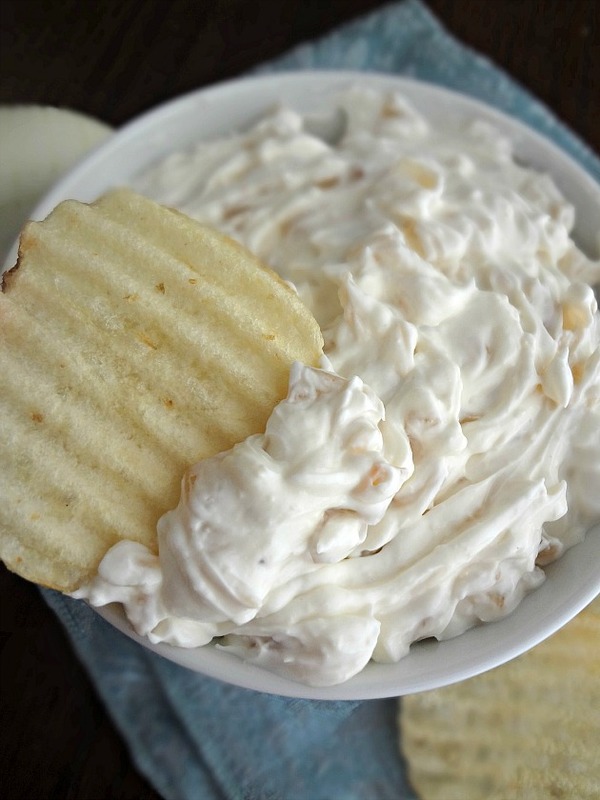 Now, unfortunately my uncle also brought chip dips so I had a bit of competition, but that's ok because everyone could tell that this was the superior dip. My brother said he had a difficult time eating it because, even though he knew it wasn't super bad for him, he said it tasted deliciously unhealthy so he was having an argument between his brain and his taste buds. My teen cousins also enjoyed digging in (even though my cousin Ethan was aghast at the fact that I hadn't made a dessert). 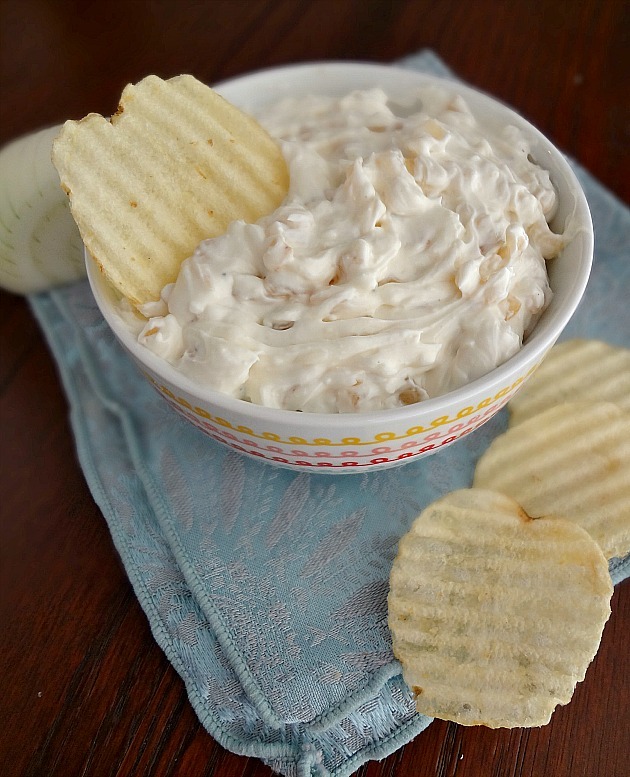 This dip is tangy, creamy, super flavorful, and full of onions that are soft and slightly sweet. It's one of those things where once you have one bite...you're hooked! Heat a large skillet over medium-low heat and add olive oil and butter. Once the butter is melted add the chopped onions and 1/4 tsp. of salt and stir to coat evenly. Cover and cook the onions for 45 minutes, stirring ever 5-10 minutes. Stir in 1 tsp. sugar and cook another 5 minutes. Remove onions from heat and stir in remaining 1 tsp. sugar. 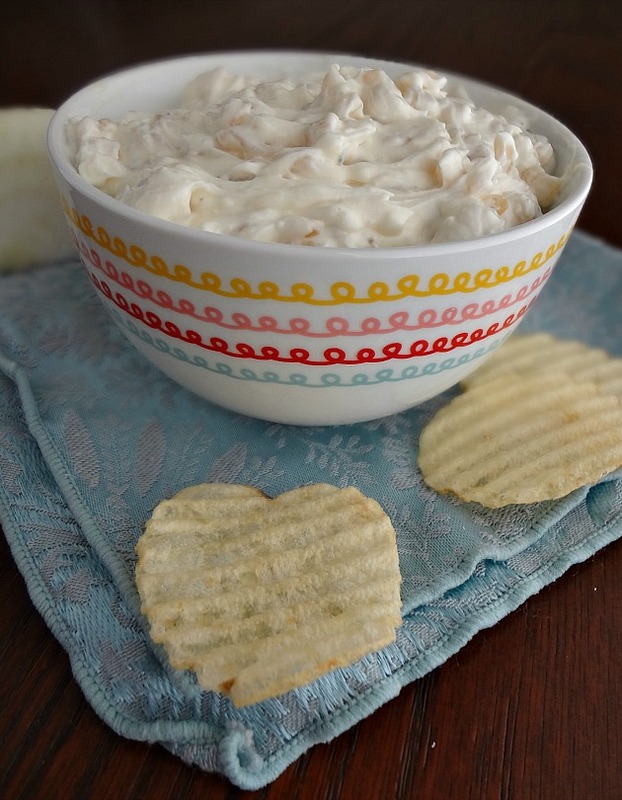 In a large bowl blend together the cream cheese, yogurt, pepper, garlic powder, and remaining salt. Fold in onions, taste, and season more if desired. Serve with chips, veggies, etc. Store leftovers in an airtight container in the refrigerator for up to 3 days.